We’ve wrapped up American Flowers Week, which took place between June 28th and Independence Day on July 4th! 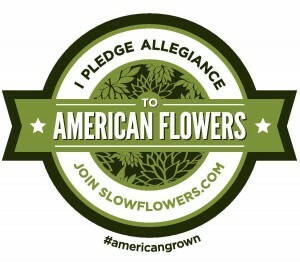 Year Two of the Slow Flowers’ campaign to promote and celebrate American grown flowers exceeded all expectations. In 2015, this little social media effort got a last-minute start with just six weeks’ lead time — and it still yielded 400k impressions during the 30-day period leading up to and including American Flowers Week. I was pretty jazzed that enough of you participated last year, which helped us catch the interest of sponsors for 2016. While not huge, our total sponsorship support reached $2,100 and those funds help to pay for our creative promotions like the fantastic red-white-and-blue flower ‘fro designed by Susan McLeary of Passionflower Events (seen at right), along with the cost of placing that image in online and print advertising, and designing and distributing resources. 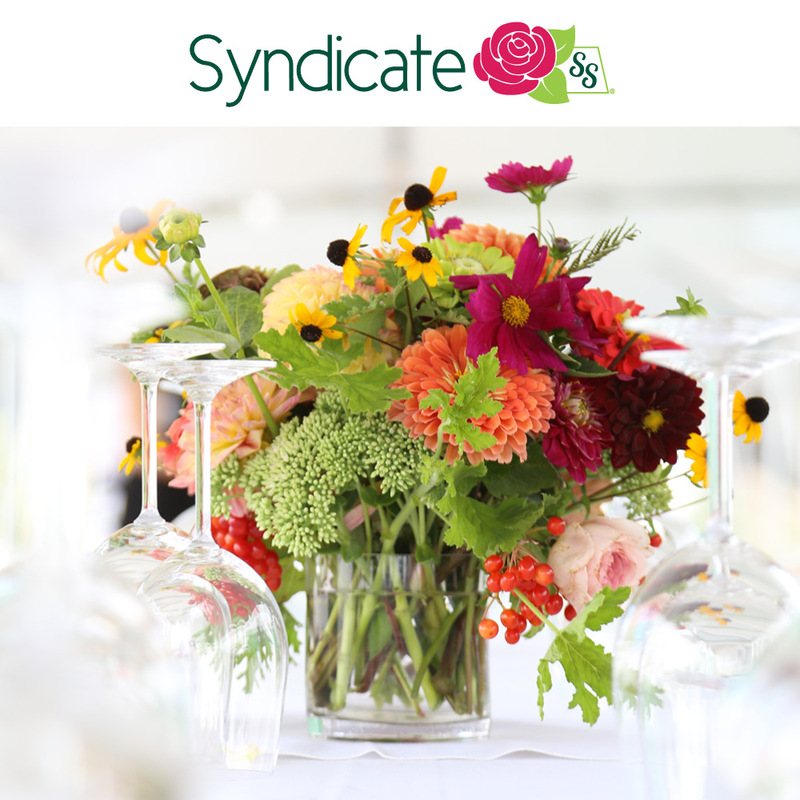 We freely shared those resources with everyone from flower farmers and wholesalers to florists, online sellers and grocery store flower departments. There simply was no barrier or financial requirement to anyone getting involved. 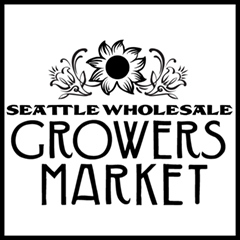 Pascale Plänk Steig created this signage for New Seasons Market in Portland, adapting our American Flowers Week ribbon artwork. In the end, it paid off, with more than 250% increase in engagement in social and conventional media. 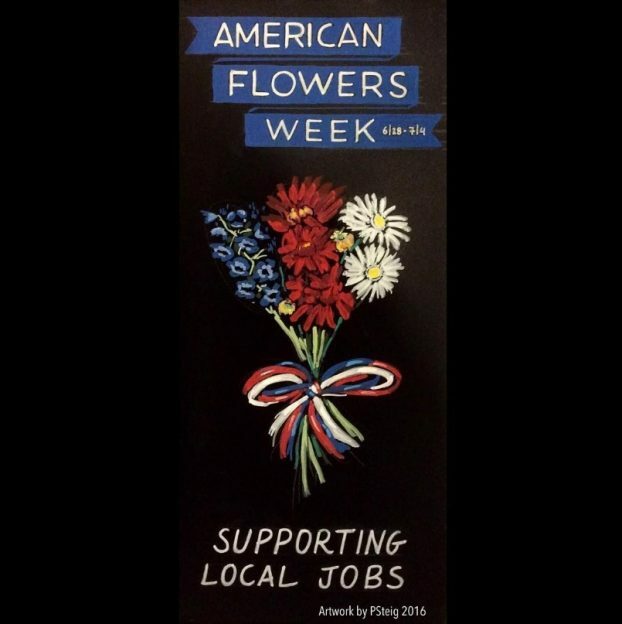 Two city dailies wrote articles about American Flowers Week (The Oregonian and the Indianapolis Star), and hundreds of you posted to Instagram, Facebook and Twitter. 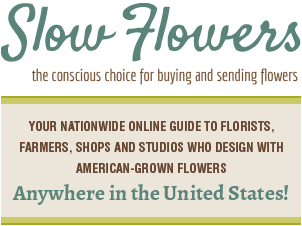 We had florists offering American Flowers Week design workshops, wholesalers and floral designers blogging about the farms they support, groceries staging chain-wide American Flowers Week sales promotions and more. It was all so exciting and inspirational! I’ll have more to share in the coming weeks as we analyze and consider the benefits of this impactful campaign. For now, I just want to thank you for participating. 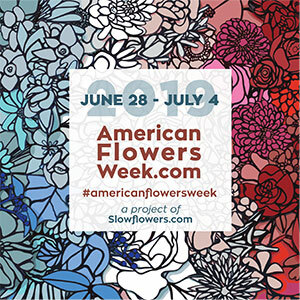 Americanflowersweek is a community-driven campaign and I’m so grateful it’s also a powerful marketing tool for you and your distinct brand. 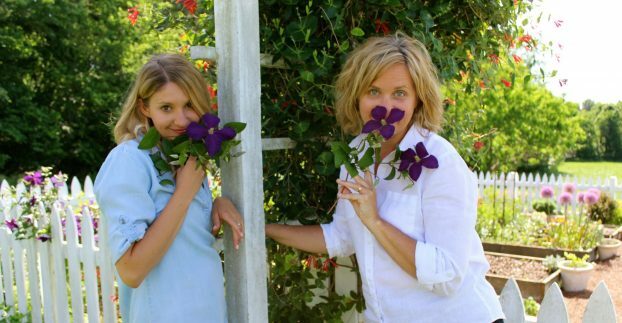 For today’s podcast episode, we’re talking to two generations of flower women. I’ve known daughter Sara Jane Camacho for a few years. We originally met when Sara Jane worked for my friend Melissa Feveyear, an early Slow Flowers adopter featured in The 50 Mile Bouquet, at her shop, Terra Bella Flowers in Seattle’s Phinney neighborhood. Melissa is a past guest of this podcast. Sara Jane worked with Melissa for a number of seasons while also developing her unique point of view by freelancing as a floral designer. Sara Jane’s interest in nature began during her childhood while working outdoors on her family’s farm in Kentucky. 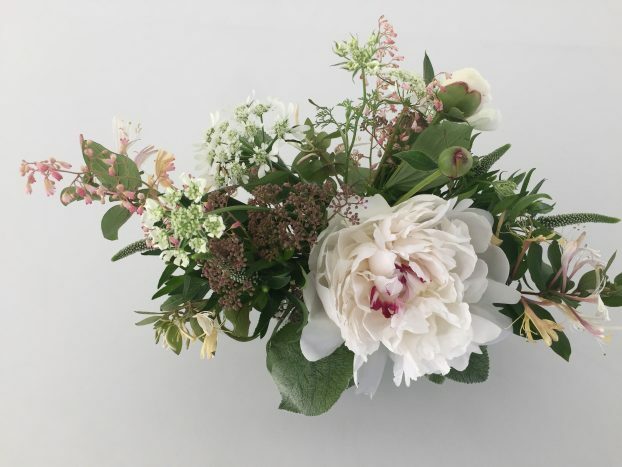 She could be found topping fields of tobacco blooms, picking heirloom roses and grapes from her grandmother’s front yard for centerpieces, carting home wild polk berries, vetch, and Queen Anne’s lace, or arranging peonies with her mother who is a flower farmer and florist. 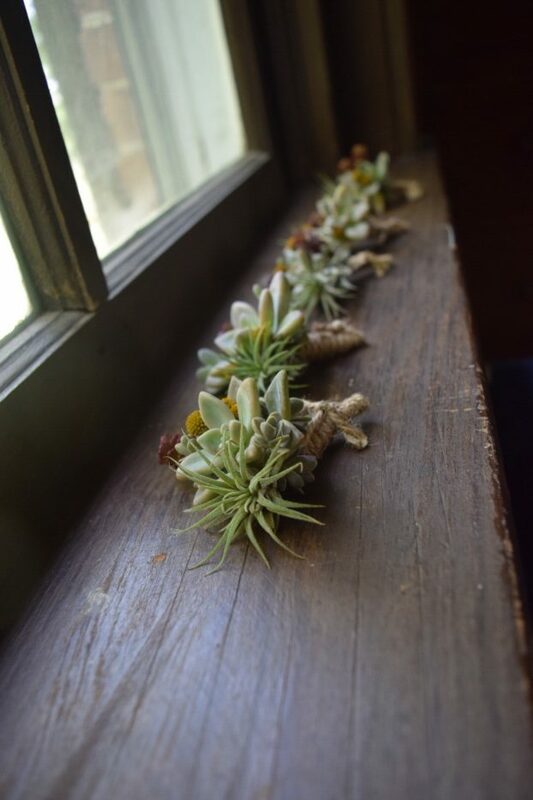 While living abroad with her family in Tokyo, she attended ikebana classes with her mother and took an interest in photographing and foraging natural materials wherever she traveled. After graduating from Samford University with a degree in psychology, Sara Jane dedicated her time toward restorative justice efforts through serving as an AmeriCorps volunteer and directing a coalition against human trafficking in the Southeast. Sara Jane eventually returned to her love and passion for flowers. After a six month sabbatical from her social justice position, she noticed her interest and creativity return as she sought out flowershops, greenhouses, and gardens in each city in Europe she went to. Sara Jane enjoys working with seasonal blooms and sources organic flowers from farms using sustainable, salmon-safe, and fair trade practices. She is also a student of Kalapa ikebana, which is a contemplative practice in the Japanese art form of flower arranging. 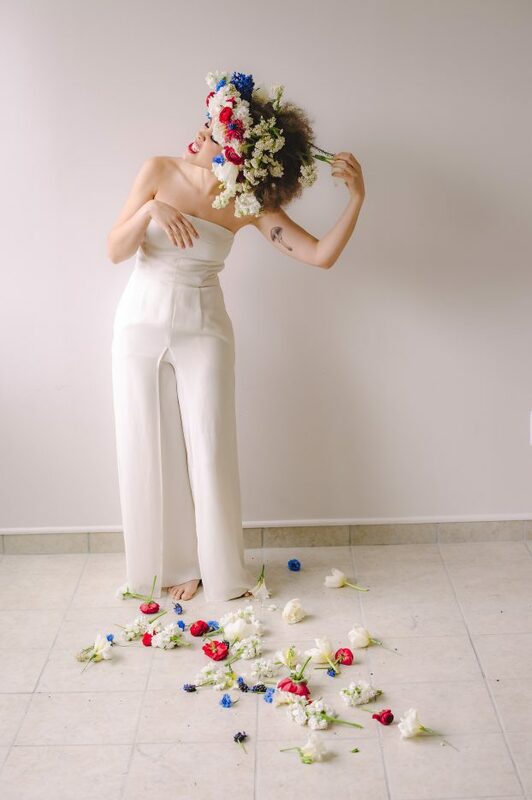 Her florals have been described as elemental, wild, hand-picked, and inspired by the natural world. Sara Jane takes a very limited number of events each year so that she can be fully present for each one. She currently lives in Wallingford, Seattle with her husband and beagle puppy but also travels often for destination weddings and home to Kentucky to work with her mom and sister on the family flower farm. Sara Jane (left) and Sara (right), photogrpahed in the family’s Kentucky garden. Based in Princeton, Kentucky, mom Sara Brown describes herself as a grower-designer. 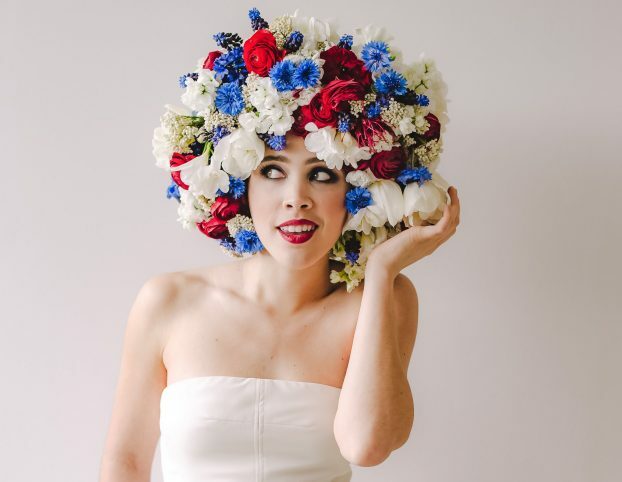 She launched Meadowview Flowers in 2013, about the same time that her daughter Sara Jane Camacho began to embrace a flower-centric career. She says: “In general, I count nature-loving parents and grandparents, and marrying into a farm family as huge factors that pointed me in this direction. Also, the timing of Sara Jane staring work at Terra Bella the same summer I began selling bouquets through our local online market. The exposure to images of what is happening in the flower farming world via Instagram and books like yours have also been so encouraging. I would also like to add that I am very thankful for the response in my community. I have so much support and interest from my small town, and what started as selling a couple bouquets a week has grown to designing for several weddings a year. 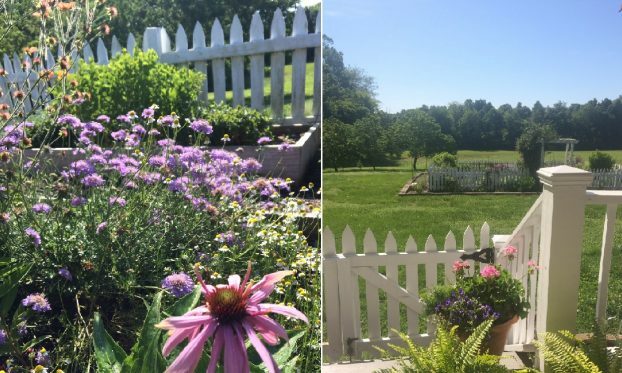 Sara writes this on her web site: My love of flowers started in my grandparents’ backyard. 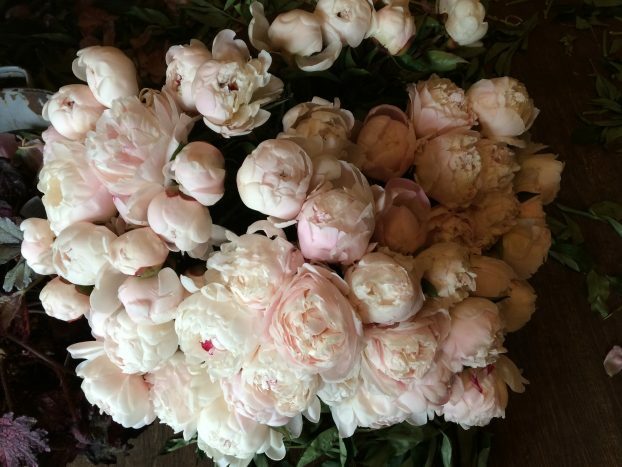 The peonies there had the most heavenly scent I knew. At the age of 7 we moved to “the lake” where I was fortunate to have woods to explore and wildflowers to pick for my mom. I did not have a chance to garden until my adult years, and I am still learning. I enjoy combining the colors and textures found throughout the seasons and my arrangements tend to have a loose, organic look. I am thankful to have spent three years in Japan where I studied Ikebana. It taught me the value of individual flowers, branches and foliage and to give an arrangement a natural sense of balance. I love being able to see my flowers through to the finished product in a bouquet or arrangement. 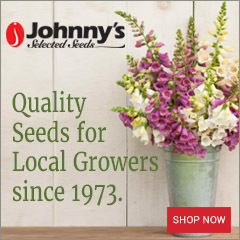 As part of a sixth generation family farm in western Kentucky, Meadowview Flowers brings the seasonal beauty of regional wildflowers, annuals, perennials and unique herbs and foliage to our arrangements and bouquets. What began as a small summer cutting garden continues to grow and change, as we add more varieties each year to bring more color and interest to our work. 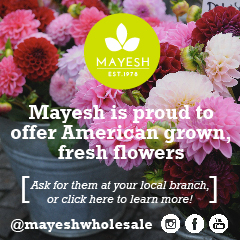 We now offer peonies, roses and several varieties of dahlias throughout the growing season. 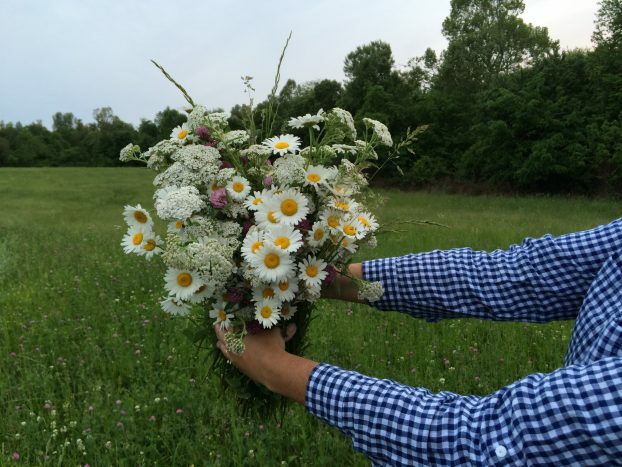 The farm’s many acres also allow for plentiful foraging opportunities of native Kentucky wildflowers. Queen Anne’s Lace, Iron Weed, Clover, Vetch, Milkweed and Black-eyed Susan, along with the occasional elusive Passion Flower. Foraging is one of Sara’s favorite pastimes, and she is always amazed at what is out there! 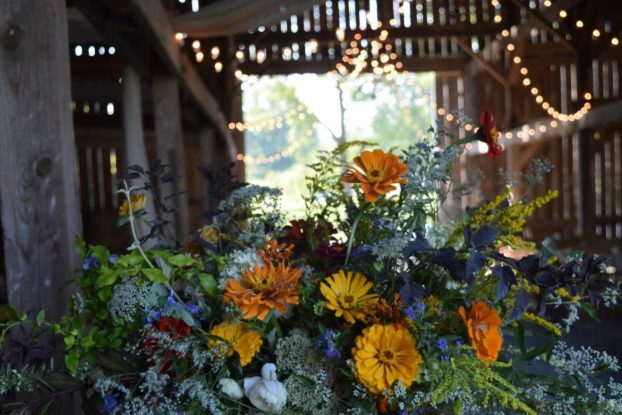 Meadowview Flowers offers flowers and foliage, grown and designed for your wedding day, from April through early October. 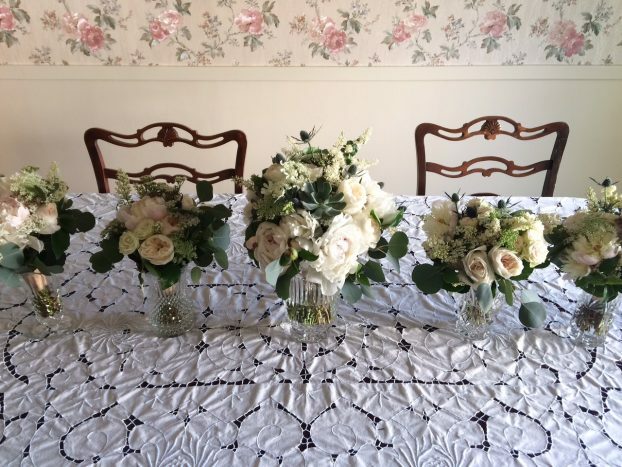 We love using our freshly cut blooms during our growing season, but can order flowers and foliage for your special day during the cooler months. 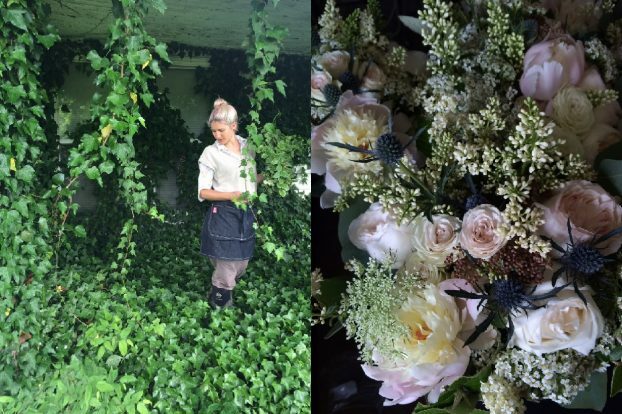 We will always incorporate local foliage in order to give your wedding a natural, seasonal look. Thank you so much for joining us today! 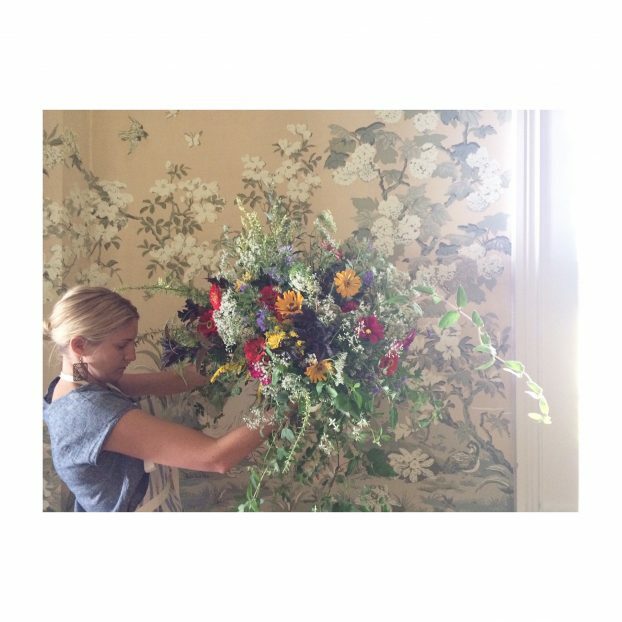 I’m always encouraged when I learn how much the Slow Flowers projects — our online directory, these podcasts, my books and the recent successful American Flowers Week campaign — help to inspire creatives like Sara and Sara Jane. I share these testimonials not to promote myself but to underscore how valuable an asset the Slow Flowers community really is. And in the coming weeks, I will be collecting comments like these into a resource highlighting the benefits of joining and supporting Slow Flowers. Right now I’m just asking you to view the Slow Flowers Community and the slowflowers.com directory NOT as “advertising” (as I’ve recently been told) but as a cause, a movement, a platform for your own business development. Slow Flowers is one of the most modest investments you can make in yourself and your business. If you have a testimonial about how being part of this community has helped you — please share it! You can email me at debra@slowflowers.com and I’d love to read your thoughts! The Slow Flowers Podcast has been downloaded more than 105,000 times by listeners like you. THANK YOU to each one of you for downloading, listening, commenting and sharing. It means so much. 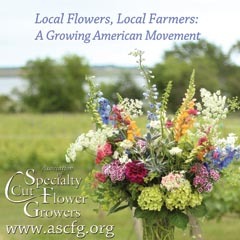 This entry was posted on Wednesday, July 6th, 2016 at 9:03 am	and is filed under American Flowers Week, American Grown, Blog Posts, Creativity, floral design, Flower Farming, General, Podcast Episodes, SLOW FLOWERS Podcast, Slowflowers.com the Directory of American Flowers. You can follow any responses to this entry through the RSS 2.0 feed. You can leave a response, or trackback from your own site. The New Seasons Market signage was attractive. The artist did a quality job adapting your American Flowers week ribbon artwork.